I just returned from Mombasa, Kenya where I had the pleasure of participating at Microsoft’s Pan-African Innovative Education Forum (http://www.microsoft.com/emea/presscentre/pressreleases/PanAfricanInnovativeEducationForum_20100827.mspx). The Forum was part of Microsoft’s “Partners in Learning” education initiative (http://us.partnersinlearningnetwork.com/Pages/default.aspx), which has already impacted more than 193.5 million students and teachers in 114 countries. The event brought together some of the most passionate and innovative teachers in sub-Saharan Africa, and it was truly inspiring to be amongst them and to see the ways in which they are integrating information and communication technology (ICT) into classroom learning and school administration. The most exciting thing about the Forum was the changing nature of education (especially its delivery) in the 21st century, and the impact that it can have on the African continent. Rote learning and dusty textbooks (not that there is anything wrong with textbooks!) are being shown the door in favor of a new version of education – Education 2.0 – that embraces technology and new methods of learning. Education 2.0 especially caters to different learning styles; engages students in new materials; and helps ensure that this generation of students is equipped to compete in the global marketplace. Education 2.0 holds great promise for students in sub-Saharan Africa, where education access and lagging standards have left African students at a disadvantage. As infrastructure improves, integrating ICT into classroom learning and school administration will open a world of learning to even the most remote villages across the continent and go a long way toward improving education access for the world’s most disadvantaged students. The private sector has come to play an increasing role in the development and implementation of Education 2.0, as well as other social services. They recognize that such efforts are more than mere investments in the socio-economic development of future markets and strengthening of human capital – it’s the fulfillment of a commitment to basic right to education, healthcare and other social services. Microsoft in particular has helped take the lead on many private sector initiatives in the developing world, especially education. The Pan-African Innovative Education Forum represents one facet of Microsoft’s Partners in Learning initiative, a nearly $500 million investment in the education of the world’s students that develops curricula, tools and resources based around a new generation of education and learning. The Forum brought together teachers from Botswana, Ethiopia, Ghana, Kenya, Lesotho, Madagascar, Mauritius, Mozambique, Namibia, Nigeria, Rwanda, Seychelles, South Africa and Uganda who truly love teaching, and they were committed to wanting to change the lives of their students by equipping them with the skills and tools they will need to effect change in their personal, family and community lives. One of the highlights of the Forum is its emphasis on developing a network of educators who can learn from one another about innovative activities and lessons from around the world. They share best practices from their own classrooms and schools with one another, and it’s these efforts which help strengthen education networks, that allow educators to draw upon the extraordinary reserves of energy, innovation and talent of the African continent. I’m proud to say that Leadership Africa USA is at the forefront of the Education 2.0 revolution. In a few months, we will launch our existing leadership course curriculum for middle school students in an online learning management system (LMS). The goals of the LMS are to present a creative way of delivering leadership development training to an age cohort who are already very aware (they may not necessarily have access) of the new technologies around (the cell phone, the Smartphone, the internet, the social networks, etc); and to provide a cost effective way of delivering this training to middle school students on a larger scale using information and communication technology (ICT). It is always encouraging to be part of a solution to a problem when that solution is developed by those directly affected by the problem. In this case, it is the African educators and the private sector who have decided it is in their interest to tackle the problem of the education quality and access themselves. Leadership Africa USA salutes the innovators of the Pan African Education Innovative Forum. I’ve been following with avid interest the G(irls) 20 Summit in Canada and the passion behind finding workable solutions to meet the Millennium Development Goals that most impact women and girls (by the way, what are these goals you think?). The Summit brought together one girl from each of the G20 countries (as the Summit was modeled after the G20 Summit) ten days before the actual Toronto G20 Summit to start exploring solutions. The 20 countries represented were: Argentina; Australia; Brazil; Canada; China; France; Germany; India; Indonesia; Italy; Japan; Mexico; Russia; Saudi Arabia; South Africa; South Korea; Turkey; UK; USA and a representative of the European Union. The importance of investing in women and girls cannot be denied (see our Facebook note on empowering girls…and join our Facebook page!). I look forward to following the progress of the G(irls) 20 Summit. Do you have any workable solutions to meet these MDGs that most impact women and girls? Integrating leadership development programs and other life skills development programs into girls’ formal schooling, perhaps? I want to hear them! The hustle and lively nature of Senegal struck me immediately as I left the Dakar airport at 5:00 am. As we commenced our drive to Saint Louis, the streets of Dakar filled, business as usual — commerce at its finest. The colourful markets, construction projects, and traffic of the city created a ‘morning energy’ different from any city I have been to before. Our drive to Saint Louis was scenic and eye opening to say the least. The beautiful backdrop clashed with the disparities of the people. Despite the vibrant coloured dresses of women with child on their back, the little boys playing in the dust and men are trying to cultivate whatever possible the struggle to provide is evident. Upon arrival in Saint Louis, the surprising differences from Dakar are noticed in the post-colonial laid-back nature of the city. As youth fill the streets to start their day it becomes clear to me exactly why it is that targeting leadership in this generation is so important. The liveliness of this youthful generation is apparent in their big smiles, friendly nature, and love of sports as they are glued to the television watching the 2010 FIFA World Cup (See former intern, Meghan Davis’ post on ‘Sports and Youth Leadership). The opportunities to focus this energy into productive and effective manners to better their communities, regions, and country is a crucial realisation that has so easily slid under the radar of development programs. I am excited to continue my work here with Leadership Africa USA and I look forward to all the adventures ahead as I now believe and understand first hand why leadership is such a crucial aspect in ensuring socio-economic and political development in Senegal. *Jeannine Wilson is one of Leadership Africa USA’s summer interns and is a rising senior at the University of Alberta, Canada. She is an honors major in political science with a focus on international relations. On June 18, 2010, Leadership Africa USA announced plans to work with Senegal’s Ministry of Education to distribute more than 100,000 copies of our youth leadership training curriculum to Senegal’s middle schools. The launch was a delightful opportunity to express gratitude to USAID including the USAID/Senegal office and the Africa Education Initiative ; to Senegal’s Ministry of Primary Education including the Academic Inspectorate; and to our local partners, who have all significantly contributed to the development and success of our youth leadership training initiative in Senegal. Below are excerpts of my remarks from the launch event and you can find USAID/Senegal’s Mission Director, Kevin Mullally’s speech here (in French). Leadership Africa USA’s vision is to enable the youngest generation of African leaders to overcome the many development challenges confronting post-conflict societies through leadership training and peer-to-peer character building. Today’s event is a celebration of the youth leadership training initiatives being implemented in Senegal’s Casamance Region by Leadership Africa USA since 2008 and proof the time is now for a revolution in leadership training that focuses on youth, especially girls. Senegal’s Ministry of Education, academic inspectors, principals, teachers, and students have demonstrated their support for this expansion. They have stepped-up and today Senegal is the only Francophone country implementing a leadership training curriculum for middle school students. This is an important model to expand Africa’s peace dividend. Our leadership training curriculum is positive recognition of the important relationship linking effective leadership to sustainable peace. We believe youth leadership training at an early stage in a child’s development, will empower the next generation of leaders in Africa and our future and Senegal’s future is in their hands tied to the choices and the contributions they make to their communities. Leadership Africa’s goal and development agenda in Senegal going forward is to expand academic inspector, principal and teacher- training in order to effectively deliver the leadership curriculum in Senegal’s school system. In closing, we stand by our commitments and I pledge to you that Leadership Africa USA will renew and expand our actions. We understand expressing commitments alone will not achieve results — results require actions and success mandates that Leadership Africa, Senegal’s Ministry of Education, USAID, and our local partners all do our part. It is a mere few weeks before the frenzy of the 2010 World Cup and the spotlight is now on soccer, which for millions across the world is more than a game. Even to the Federation Internationale de Football Association, or as many people know it, FIFA, soccer is used as symbol of hope and integration. 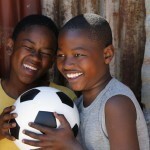 The organization promotes cultural diversity and educational and humanitarian values through the sport. For the first time in the World Cup’s history, it will be hosted in an African Nation—South Africa. This tournament could not have come at a more opportune time for the nation. Since the end of apartheid in 1994, South Africa has achieved many successes but also faced many challenges as a young, integrated democracy. One of these challenges post-apartheid South Africa faces is the vulnerability of its youth population. The FIFA World Cup has come at an appropriate time to aid the youth to develop the necessary skills they need to achieve success in life. 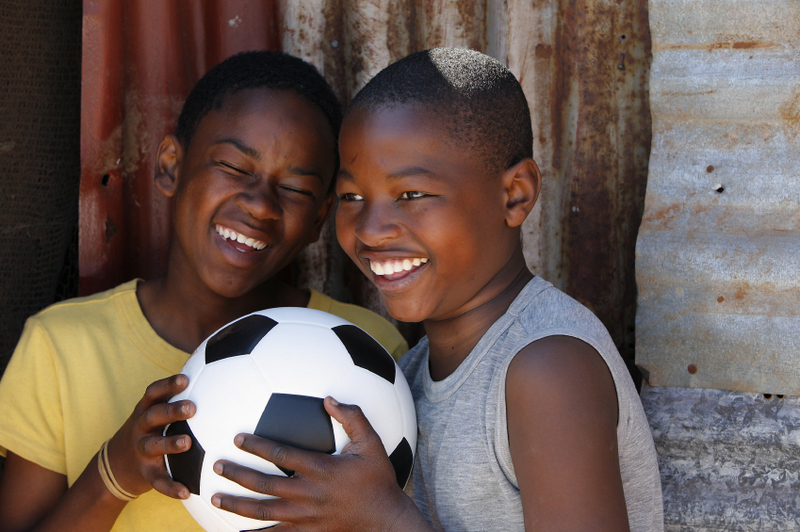 The FIFA World Cup has the potential to become a strong catalyst for creating positive change for the younger generations. South Africa should utilize its power as a host country for this tournament to engage FIFA and organizations into further developing the youth through partnering sports with leadership training. The combination of leadership development and sports is one of high importance. Sports, soccer in particular, are globalized; anyone, no matter their gender, disability, ethnicity, social background, or religion, can take part in games. Sport and games have the power to reach and teach like no other channel. There is emerging indication that when youth are given the opportunity to engage in sports, there is an increase in academic performance, higher levels of motivation, improvements in school attendance, and reductions in aggressive behaviors. Sports, game, and play and leadership development training, provide mutual reinforcement of skills acquired on and off the field. The World Cup has inspired organizations to further incorporate sports into developing strong youth leaders within the community. Here at Leadership Africa USA, we work with the younger generations, helping them to acquire the skill sets that will align their futures with success. Students leave with an enhanced feeling of self-confidence, improved critical thinking and analytical abilities, and improved communication capabilities. It is this same level of self-confidence that exudes from a child when they engage in sporting events. 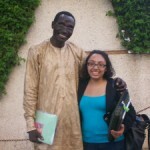 *Meghan Davis is Leadership Africa USA’s Spring 2010 intern. She is a rising senior at Suffolk University. Through my studies of national security issues, I have come to the resolution that solutions and efforts need to involve more individual actors. Today, nations face numerous security issues ranging from poverty, hunger, health endemics, to wars and conflicts ( both internal and external). Although these issues seem almost impossible to resolve, I must argue that small changes, can greatly impact a nation’s effort to address various security issues. For instance, let’s take a particular national security issue common within many African nations, civil conflict and unrest and how addressing the ‘youth’ issue may impact this security issue. According to a study by Population Action International, there was a strong correlation between civil conflict within nations and the large number of youth populations (sometimes referred to as a youth bulge). This youth bulge is a relatively common phenomenon amongst many African nations. Unfortunately, it has been linked to instability within nations, especially in connection to starting civil unrest and thus making it an important national security issue. As this civil unrest within nation’s increasingly foster criminal activities and violence within gangs and paramilitary groups amongst youth, it would seem that a simple way to address the issues is by decreasing the effects of civil unrest within nations. The magnitude and severity of civil unrest requires multiple actors both large and small. For individuals stepping up to the challenge of addressing this issue, there is, I think, need to address the fact that youth involvement in criminal activity cannot be seen purely in a derogative manner. To me, many people believe that people partake in criminal activity and engage in violence simply because they are evil. But it is important to understand that in reality, individual participation in such crimes are simply part of the rational-choice theory in criminal studies. This theory states that people who participate in violence and criminal activity do so not because they are evil but as they see no rational alternative. Using this logic, the best strategies to resolve the national security threat that youth in gangs and paramilitaries pose involves a holistic approach that not only addresses natural resource issues resulting from urbanization and the ‘youth bulge,’ but also addresses social development within youths themselves. One such strategy is the creation of youth development programs as part of educational programs that stresses both conflict resolution skills and leadership skills. Finding and supporting educational programs are the simplest way for both individuals and states to approach and tackle such national security issues. There are positive side effects nationally, regionally and even globally, when focus is paid on decreasing the hostility and likelihood of civil unrest among communities by increasing both the leadership and the conflict resolution capabilities of its youth population. So, let’s take a step in the right direction, support and become involved in youth educational programs that focus on conflict-resolution and leadership development; they make a lasting impact in nations and ameliorate the problems of national security issues. 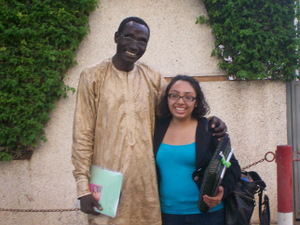 *Giovanni was Leadership Africa USA’s Fall 2008 intern. With 44 percent of sub-Saharan Africa’s population under 15 yrs (visit the Population Reference Bureau for more population data), there is little doubt that Africa’s youth will play a significant role in the region’s economic, social and political prosperity in the years to come. The U.S. administration recognizes the opportunity to be gained by stressing the importance of youth development in Africa. During his trip to Ghana, President Obama encouraged Ghana’s and Africa’s youth to be the force of change they can be. “You have the power to hold your leaders accountable, and to build institutions that serve the people. You can serve in your communities, and harness your energy and education to create new wealth and build new connections to the world But these things can only be done if all of you take responsibility for your future .” (Remarks by President Obama to the Ghanaian Parliament, July 11, 2009). Secretary of State Hillary Clinton during her trip to the Demcratic Republic of the Congo in August of 2009, called for the mobilization of DRC youth, especially girls, to speak out about the challenges, particularly in the areas of corrpition and violence, of DRC. She called for the students to “write a new chapter in Congolese history”. Here at Leadership Africa USA, we recognize the importance of calling upon the younger generations to promote effective leadership abilities that can inspire change within a nation. Leadership Africa USA’s mission is compatible with the U.S. Administration’s emerging Africa policy through our youth leadership programs in several African countries to empower African youth through leadership training; promote skills transfer; support peer-to-peer outreach; and implement proven character building exercises. I believe inspired African leadership is key to Africa’s sustainable development in this global economy in order to solve the poverty equation impacting African people. Effective leadership training is empowerment. Leadership Africa USA recognizes that the Africa’s future is dependent on cultivating positive and effective leadership among today’s African youth. As such, we partner with African educators and government officials to promote middle school leadership training. Our emphasis on always working with our African counterparts stems from our view that “Made in America” doesn’t work in 21st Century Africa. Going forward, my goal is to develop creative ways to increase the delivery of leadership training with additional strategic partners and appropriate use of new technology. Youth leadership training should be a more focused initiative of U.S. and African policy if we are to deliver on the promise of accessible quality education for Africa’s children, especially girls. One of the most obvious examples of how integrated the world has become is the rise in global trade. In 2007 just one percent of world trade was worth $199 billion – much larger(actually 4 times larger) than the total development assistance to Sub-Saharan African countries from G8 member countries that year. Yet regions such as Africa still face considerable problems accessing the enormous benefits of increased global trade. These problems range from inadequate or antiquated infrastructure; weak regulatory environments; to insufficient local capacity. The African Growth and Opportunity Act (AGOA), signed into law on May 18, 2000, was a response by the United States to provide an arrangement for African countries to bolster their trade opportunities with the U.S. with the end goal of strengthened free market economies and improved economic environments in these countries. Since its inception, AGOA’s impact on economic development in Africa has been significant - more than 300,000 jobs have been created in Africa; non-oil exports have increased by 340% and imports have grown by an equally impressive 51% from 2007 to $5.1 billion in 2008. In Kenya alone, the exports to the United States have more than tripled! Apparel exports in Kenya have remarkably increased from $111 million to $344 million in 2008 . The Honorable Dr. Timothy Thahane, Minister of Finance and Development Planning, The Kingdom of Lesotho, during his remarks at the celebration of the 10th year anniversary or AGOA also extolled the benefits of AGOA to the Lesotho economy. He noted that small textile industries that were previously employing less than 10,000 women, currently employ about 50,000 women under AGOA. AGOA is having a lasting impact in many African countries. To Establishing support networks for SMEs (small to medium enterprises). Equally important for AGOA and beyond, is the need to foster an entrepreneurial spirit among Africa’s large youth population. African governments should focus on creating a generation of Africans who are ably equipped to tap into the vast opportunities affiliated with global trade. Leadership development training is one such means to prepare Africa’s youth to be leaders in the fields of business, education, science, politics, agriculture and the list goes on.